Pennsylvania is a great state to bird in; we have enough elevation change to afford us a large diversity of breeding and migrating warblers, we are well situated to observe a large and diverse raptor migration, and we have a large community of talented and helpful birders who are willing to share sightings and help others see good birds. There are many great resources available for discovering birding hotspots in Pennsylvania. One notable site is hosted by the Pennsylvania Society for Ornithology (PSO). The PSO Site Guide presents you with a map of Pennsylvania and you can then explore birding hotspots county by county. This site features the major birding area in Pennsylvania and generally has a short description of each spot. Some birding spots have extensive instructions on how and when to best bird the area (ex. Lake Ontelaunee) which is an excellent resource for people new to the area. Additional information for the counties such as number of breeding birds, the counties total bird list, and top county life, year and big day lists look like they will be added in the future as well. This resource will continue to expand as birders contribute additional details about hotspots and add new spots to the map. Aviatlas is another place to discover birding spots in Pennsylvania. 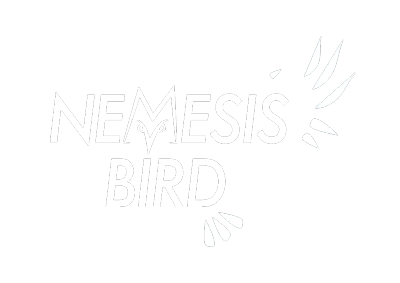 It is a wiki-like site where you can add birding locations as well as add info to already existing spots. There are already lots of birding spots which people have added additional details for. Hawkcount!, which facilitates the reporting of raptor migration for HMANA is a good place to find a hawk watch near you and figure out the best time to go. Check out the Tussey Mountain page and it will tell you that the best time of year to see a Golden Eagle is the first 2 weeks of March and the middle of November. PSO publishes a quarterly journal, Pennsylvania Birds, which is great for learning of notable sightings across the state, bird quizzes, rare bird photos as well as great Pennsylvania-centric articles on the birds and conservation. A place to find out about recent bird sightings is on the PABirds listserv. You can find details about subscribing to this email listserv but an easier option is to check out birdingonthe.net where you can find the most recent posts without cluttering your inbox. 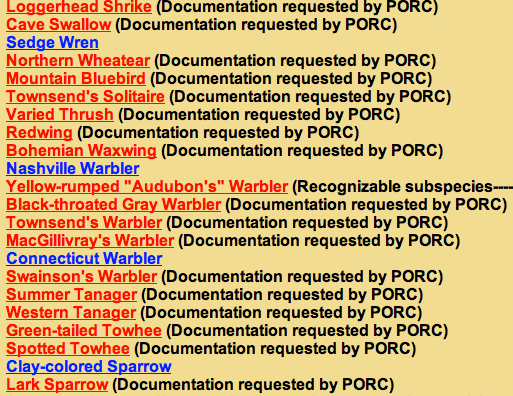 The State College Bird Club also has a listserv where you can find additional sightings for central PA.
Another resource from PSO is the Rarities Gallery from the Pennsylvania Ornithological Records Committee (PORC) which is maintained by Dave DeReamus. This gallery has all the photographic records submitted for birds on the Review List as well as several other notable birds not on the list. This is a fascinating resource to look at some of the more notable birds that have been seen in Pennsylvania. It is also an interesting look at how the quality of reality/documentation photos have increased with the increase in digiscoping with high quality optics and cameras as well as the availability of more affordable digital cameras. If you want to check out some of my photos you can go to the page for Harlequin Duck and Ash-throated Flycatcher. The page also includes a link to send any documentation for Review List species that you see, which I highly recommend you do if you are lucky enough to spot a rare bird. It is always exciting to ponder what will be the next addition to the Pennsylvania list. Another resource that is not necessarily Pennsylvania specific is the Pennsylvania eBird portal. The PA portal features news items that are directed towards birders in Pennsylvania. You can quickly explore bird all the data that birders have submitted and look up, for example, which birds to expect in Chester County. I hope these resources help you when you are planning on birding in Pennsylvania. Let me know if you have any other birding resources for Pennsylvania.